Two 15 seed teams advanced past the first round as Norfolk State upset (2) Missouri and Lehigh defeated (2) Duke. Check out our discussion on this year’s tournament and who to keep in mind when filling out your brackets. Subscribe to The Piffcast on iTunes here. Tupac Shakur was shot and killed at the age of 25. To this day, people are trying to prove he’s still alive. Did I miss anything? Let me know on Twitter @Mike_PiFF03 or on Facebook. 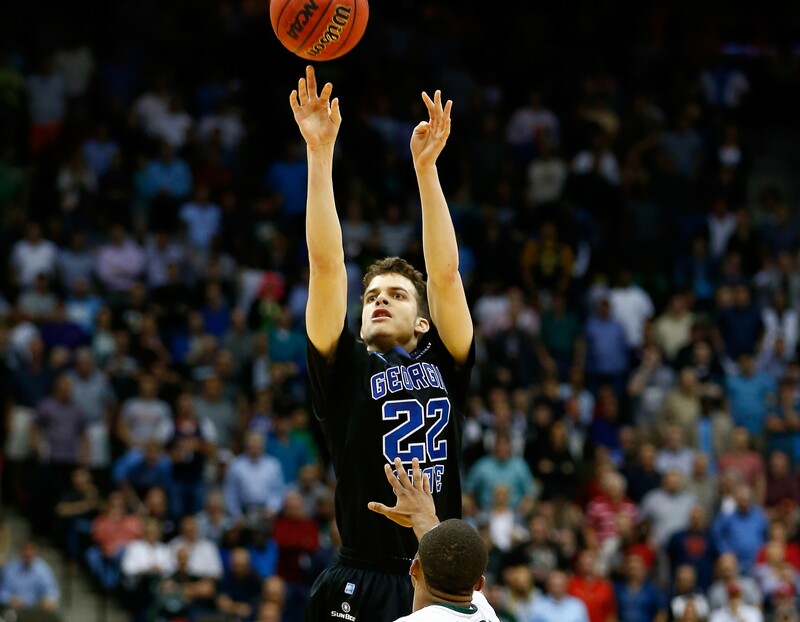 NBA Draft 2015: Who Fits For Bulls With 22nd Pick? 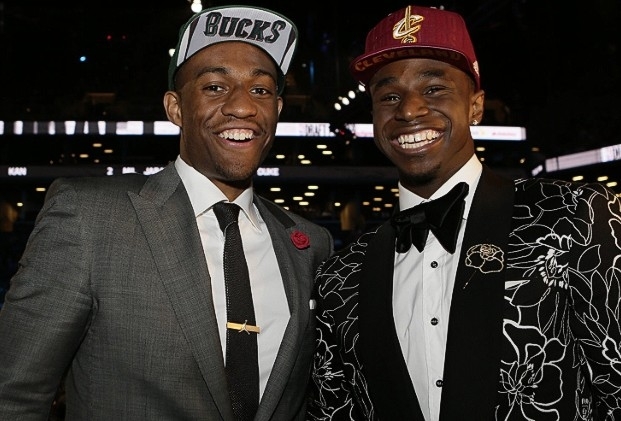 Get your fancy suits and flat-billed team hats ready, it’s NBA Draft Day! Commissioner Adam Silver, who has yet to give Draft attendees a reason to boo him, is expected to shake the hands of the 2015 draft class and its coveted triumvirate. That group include’s Kentucky’s Karl-Anthony Towns, Duke’s Jahlil Okafor, and Ohio State’s D’Angelo Russell. After that, the field of college basketball’s best and international stars becomes much less predictable. Trade talks have heated up across the league, and it doesn’t appear to be as much smokescreen as it has in the past (Way to blow your cover, George Karl). While it’s nice to have a lottery choice in the draft, picking between the 20 and 30 spots is still significantly valuable. The players available are older, better developed for specific roles, and ready to contribute right away. They are also nearly 20% the price of a the Top 3 draft picks. In 2013, frenchman Rudy Gobert was selected 27th by the Utah Jazz. Gobert was 11 blocked shots behind Anthony Davis for the league lead this past season and earned $1.1 million. 1st overall 2013 pick Anthony Bennett has averaged just 4.7 points per game, is on his second team in as many years (and back on the trading block), and made $5.6 million last season. So who will be there for the Bulls after the Dallas Mavericks make their choice at 21? Let’s take a look at who fits their needs and can realistically be available. Son of former NBA forward Harvey Grant and nephew of four-time NBA Champion Horace Grant, Jerian Grant may be the best fit. Backcourt depth was a glaring issue for the Bulls, especially in the playoffs, and Grant is one of the best point guard prospects in this draft. His size and ball handling allows Grant to play both 1 and 2 guard spots, making him a flexible option for new head coach Fred Hoiberg to pair with either Derrick Rose or Butler. With an ability to create his own shot and excel in transition, Grant can also be utilized in small lineups in case Hoiberg wants to play him with both Rose and Butler. He averaged 16.5 points, 6.7 assists and 1.7 steals per game in his senior season while also shooting over 57% from 2-point range. Being older, Grant can contribute right away for a Bulls team that wants to win now…and he can certainly finish at the rim. The Bulls lacked dependable scoring off the bench in the postseason last year. 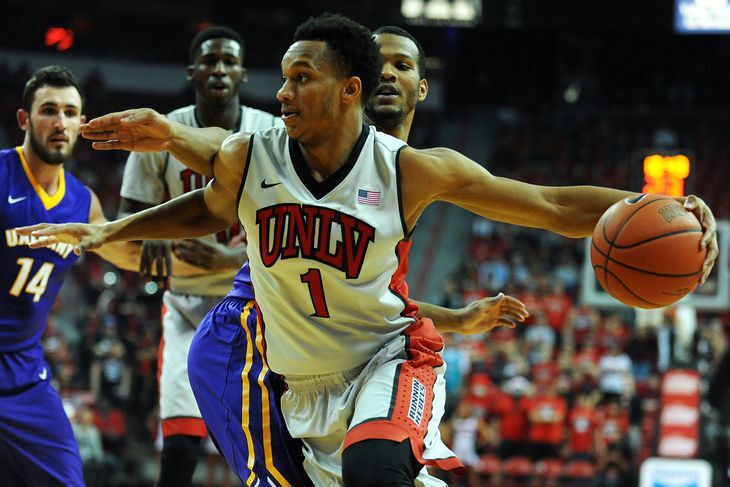 Rashad Vaughn is an “instant offense” pure scorer who has shown he can generate scoring in bunches. Averaging 17.8 points per game, Vaughn is a natural scorer and played his best in catch-and-shoot opportunities. He can create off the dribble in isolation situations and is athletic enough to be a decent defender. Vaughn’s freshman season was ended prematurely due to a meniscus tear against Fresno State in February, which has contributed to his slide in draft projections. During March Madness this year, the country was made aware (if they weren’t already) of RJ Hunter as he knocked out #3 Baylor from the tournament…and his coach/dad out of his chair. As 3-star recruit from Indianapolis, Hunter passed on much bigger programs than Georgia State so he could play for his father and led the Panthers to 25+ victory seasons. Hunter provides two things the Bulls are in need of…scoring and 3-point shooting. As they wait and see who Doug McDermott is in Hoiberg’s system, adding Hunter’s 19.7 points per game and 51% shooting from the field doesn’t hurt either. 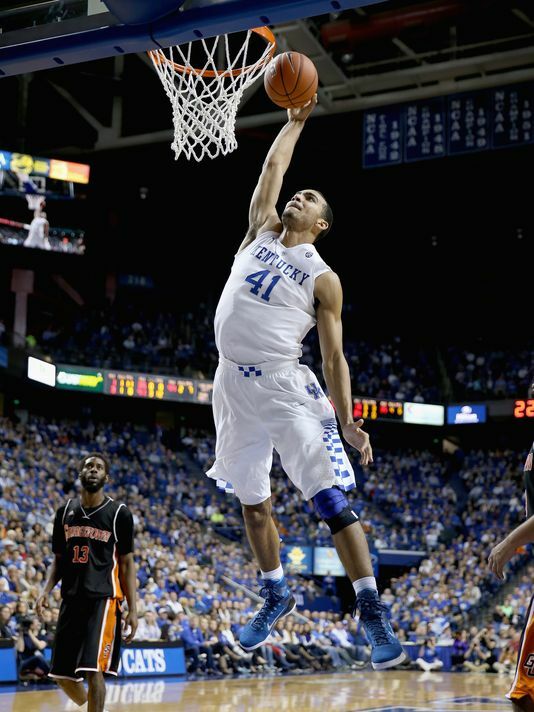 Had he not been on the same team as Towns and Willie Cauley-Stein, Trey Lyles would be a much higher prospect in this draft. Lyles was forced to play out of position at small forward with Alex Poythress going down to injury, but it allowed him to showcase how skilled he is off the dribble. Lyles is one of the best well-rounded forwards in the 2015 class and would bolster a very thin front court rotation for the Bulls. With Joakim Noah playing on one leg and Gibson out recovering from ankle surgery, Lyles provides a post up game that the Bulls don’t have with either Pau Gasol or Mirotic. It is probably a stretch to think Sam Dekker would fall to the Bulls at 22, but his projections for tonight’s draft have varied from 8th overall to 25th. Like Hunter, Dekker provides scoring and range beyond the arc, but he is more polished and has done it against better competition. 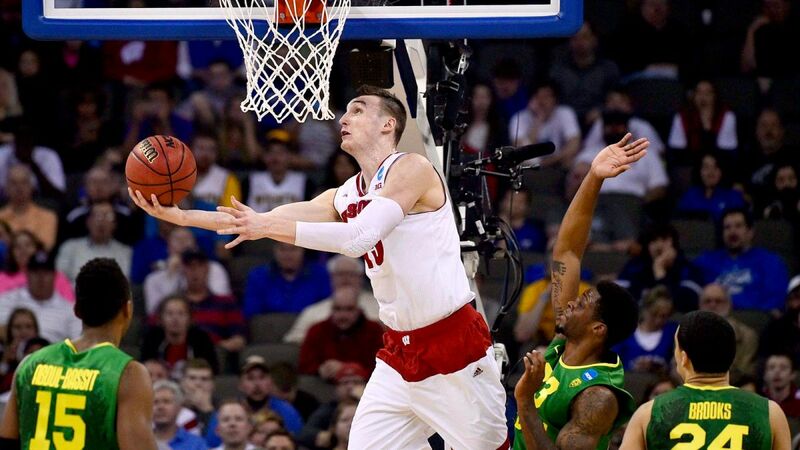 Dekker’s versatility on both ends of the floor and athleticism make him more than a role player off the bench. He can defend multiple positions, can play the 4 in small lineup scenarios, and is better prepared to play right away. Have your eye on someone else? Let’s talk about it on Twitter @Mike_PiFF03. “The Macho Man” Randy Savage passed away at the age of 58. Two years before Y2K, yet everyone was talking about it…and these things. Bill Clinton dominated the headlines and SNL for his “off the field” issues. Before teaching you how to survive EVERYTHING, Bear Grylls became the youngest person to scale Mount Everest at 23. Microsoft released Windows 98…some of you still use it. The Winter Olympics were held in Nagano, Japan. 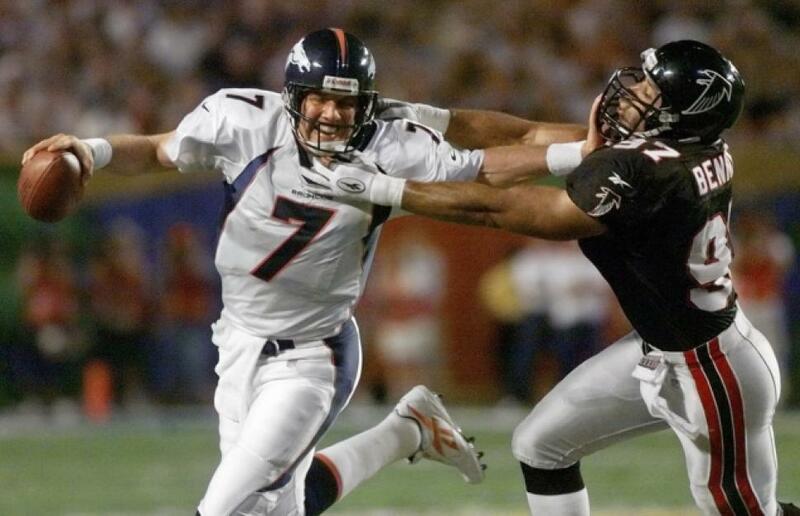 Will Smith’s son Jaden was born and former Hall of Fame Bears quarterback Sid Luckman passed away at the age of 81. And this is what we saw in the worlds of Movies, Music and Sports! Did you have high expectations for the 2014-15 Fighting Illini? John Groce did. He had to. He’s the coach. The team and fan base probably did. And why not? What’s the point of playing or being a fan without some belief? I did not. While the team didn’t have much turnover from 2013-14 (just graduating Joseph Bertrand and Jon Ekey), they didn’t add much either to a squad that only reached the 2nd round of the NIT. Yes, the roster gained a year of experience, and that showed in Big Ten breakout Malcolm Hill. However it did not show in leading scorer Rayvonte Rice, who found himself suspended from the team following extended time out with a broken left hand. Would the 2014-15 Illini won more games with Rice on the floor? Probably. Would a handful of extra wins put them in the NCAA tourney? In this year’s Big Ten…certainly. It wasn’t about THIS year for the Illini, though. As difficult as it is for anyone with vested interest in Illini basketball to hear it, success was a luxury rather than a necessity. That is because the incoming class will make or break the Groce era. Ranked 15th by ESPN, 10th by 247 (CBS), and 16th by Rivals (Yahoo! Sports), the 2015 class will be Illinois’ best recruiting class in years. Having covered 3 of the 4 commits in person, I can tell you the Illini will add scoring and a lot of it. Local Chicago area stars DJ Williams (ranked 63rd in the nation on Rivals) 6’7 from Simeon High School and Aaron Jordan (ranked 83rd) are long and athletic players with range and a knack for attacking the paint. Jordan is more of a jump shooter, passive compared to Williams, but knows how to get to the free throw line when it’s needed. Williams, amazingly, has been able to shine on a Simeon squad full of D1 talent and that bodes well when it comes to meshing with his new Illini teammates. Jalen Coleman, a 6’3 shooting guard from La Porte, IN (Indianapolis area), is the real catch and not based on his rankings alone. Playing against some of the country’s best in AAU, Coleman proved to be a prolific scorer. He made half of his 92 three-point attempts leading up to the NIKE EYBL Peach Jam Championship tournament in Augusta, South Carolina last summer. He can run the floor when asked to, but has the ability to take over a game by himself…a huge difference when it comes to college basketball. The Illini will also be adding Darius Paul, who technically was already a member of the team but was suspended for 2014 because of a failed drug test and underage drinking. He is the younger brother of former Illinois star Brandon Paul, a 6’8 power forward from Gurnee, IL, and played this season at Lamar State junior college in Texas. Illinois will need all the size they can get after Nnanna Egwu graduates this year and Paul has the opportunity to contribute in a big way with his 2 years of eligibility. After missing the year due to injury, senior Tracy Abrams will have another year of eligibility. Abrams tore his ACL last September, but spent the season providing much needed leadership for the team this season, leadership that will hopefully translate to hardwood next Fall. Hill will be depended on to replace the scoring after Rice graduates, much like he did during the injury and suspension. The big knock on Groce and the Illinois program in recent years has been their inability to keep highly touted recruits in-state. Duke’s Jahlil Okafor (Whitney Young HS, Chicago) and Wisconsin’s Frank Kaminsky (Benet Academy, Lisle, IL) were this year’s NCAA All-American headliners. The nation’s top point guard recruit Jalen Brunson (Stevenson High School, Lincolnshire, IL) chose Villanova. Catholic League star Charles Matthews (St. Rita, Chicago) selected Kentucky a year ago. And Illinois Top-10 players like Glynn Watson (St. Joseph), Ed Morrow (Simeon) and Brandon Hutton (De La Salle) all chose other Big Ten schools to take their talents to. If Illinois basketball proves they can win with the in-state talent they committed already, the program will become more attractive to recruits in the Chicagoland area. If they win big games on national television, step up in the Big Ten conference, play well in the NCAA tournament, and put players in the NBA, more talent will stay in-state. That’s a lot of “ifs”, but it is plausible. And because it is plausible, that means no excuses in the 2015-16 season…year 4 of the Groce era.